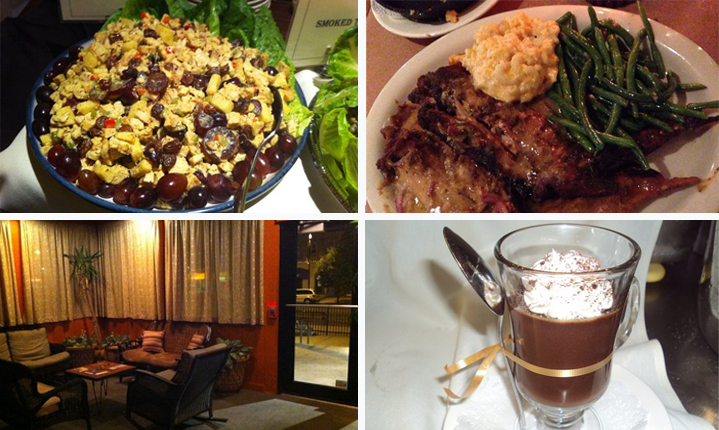 If you are taking a weekend trip to the Philadelphia area, be sure to try dining at Relish. This fantastic food venue showcases the true potential of gourmet, modern, Southern-style cuisine in an upscale atmosphere that is sure to please. Time your visit right and you can enjoy live jazz music while enjoying food from their expansive menu. Start your dining experience with appetizers like pan-fried chicken livers, honey hot sauce jumbo wings, cajun deviled eggs with shrimp, or the seafood mac n’ cheese. Looking to take a healthier route? Then try the roasted beet salad. Made with red and golden beets, brown sugar spiced pistachios, goat cheese, and a honey herb vinaigrette – this salad is out of this world. For your main course, indulge in items like their iron skillet buttermilk fried chicken, creole crab cakes, or red snapper with crab meat in Bearnaise sauce. Another fan favorite is their mouthwatering penne Einstein pasta that combines olive oil, garlic, spinach, sun dried tomatoes, fresh herbs, Romano cheese and your choice of salmon, shrimp, or crab meat. So be sure to stop in at Relish the next time you are in Philadelphia and experience the fine food and atmosphere for yourself. They are located at 7152 Ogontz Avenue. For more information visit the official Relish website or call directly at (215) 276-0170.